We’re excited to announce that long-time partner and B2B market research firm, Clutch.co, has recognized JumpFly on a global level for our PPC expertise and excellent customer service. We feel proud to be selected among thousands of companies to receive Clutch’s top annual honor! This award is a true reflection of our team’s efforts to grow our business over the past 15 years. PPC is ever evolving practice, and it takes a diligent and creative team to keep up with the changes in Google’s advertising platform and deliver successful results to our clients. Since joining Clutch in 2015, the research firm has collected 18 positive reviews from our clients! Analysts at Clutch are knowledgeable about various industries, and ask our clients detailed and relevant questions. The resulting insights have helped us not only to understand where we’ve excelled, but also how we can improve. You can read our reviews in depth on our Clutch profile, and learn more about our clientele and one of our past projects as well. Notably, our reviews demonstrate the versatility of our PPC services, as well as the various industries we serve. From helping a safety equipment company with optimizing their Google Shopping presence to guiding a health clinic’s transition to CPA bidding, JumpFly’s expertise extends to multiple search engines and platforms, including Amazon PPC Management, Facebook, and Google Ads. In addition to being recognized as a top PPC management company worldwide, JumpFly has also been featured in Clutch’s new and exclusive category for 2018: The Clutch 1000. The firms in this group are top performers on the platform, having gone above and beyond for their clients to deliver measurable and successful results. Overall, we’re thrilled by this accomplishment and looking forward to making even greater strides in 2019. 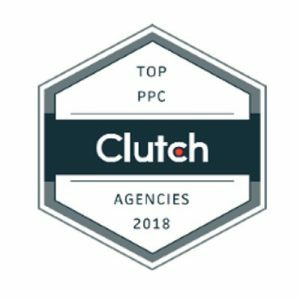 Thank you to Clutch, our team and our clients for recognizing JumpFly as a standout PPC agency!